There couldn’t be a better time than now to read the story of a Syrian immigrant arriving in the United States. Saddo (Sam) Hanna is fleeing not the current ravages of warfare but the tyranny of the Ottoman Empire in the early 20th century. The more things change, the more they stay the same. Sam’s family in Syria are Orthodox Christians who suffer religious persecution by the Ottoman Empire. Sam loves his country but the future looks dim, and his father encourages him to emigrate to America when he is only 17. 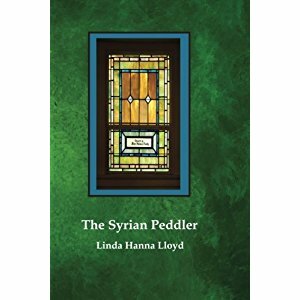 The novel shows how Syrian relatives and friends in rural Pennsylvania help Sam learn the business of peddling merchandise house-to-house to families of coal miners and others who live in rural settlements. Sam learns fast, works hard, saves his money, and is determined to have a store of his own some day. We get a picture of Syrian immigrants who are polite, considerate, respectful, and kind. There is no jealousy, selfishness, intrigue, or cruelty—although there is one “busybody” in town. Like a good historical novel, this gives us a picture of the place and time in which it is set. The coal mining district of western Pennsylvania is populated by enclaves of Slovak, Polish, and Hungarian immigrants, and Sam has the kind of personality that lets him get along with all of them. There are references to miners hurt or lost in the mines and to the Cooley Gang of robbers. Franklin Roosevelt is Assistant Secretary of the Navy towards the end of the novel. These are a few of the things that give us a sense of the period. The passage of time from 1905 to 1921 is shown cleverly as the rural towns become bigger, the railroads expand, and Pittsburgh becomes one of the largest U.S. cities. In Sam’s own world, we see gradual modernization as the Singer sewing machine is invented and horse and buggy are replaced by the Ford Model F. Mothers are beginning to have their babies in hospitals rather than at home. More and more, customers are able to come to town and buy their goods in a store rather than wait for a peddler to come to them. Sam is an immigrant, a Syrian-American, but his story is the story of America.